Dos Hermanos & Sonoran Moon - Together, We Make Memories! 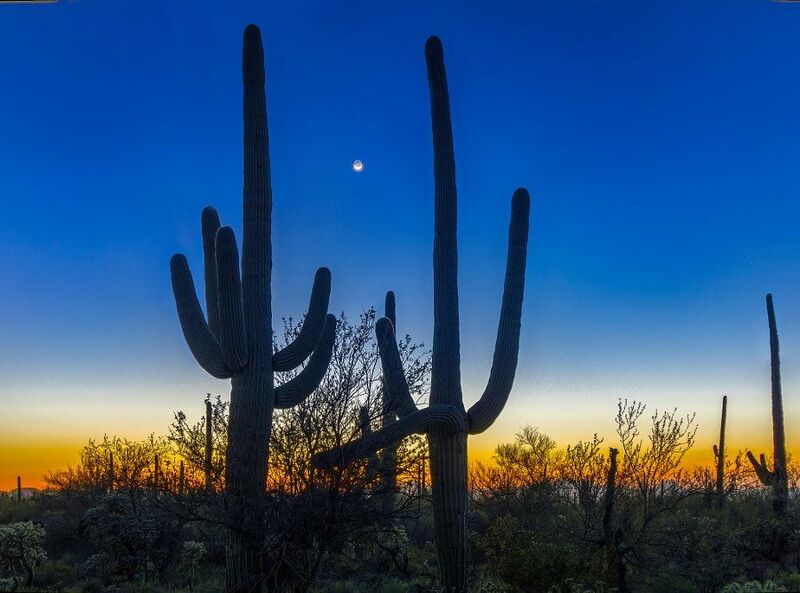 A crescent moon hangs between two giants of the Sonoran desert as they bear witness to the descending silence and the procession of the night sky above the parched desert landscape.This fine art image by Pat Kofahl is available in multiple sizes on paper, canvas, metal and plexiglass. Prices start at $49.00!